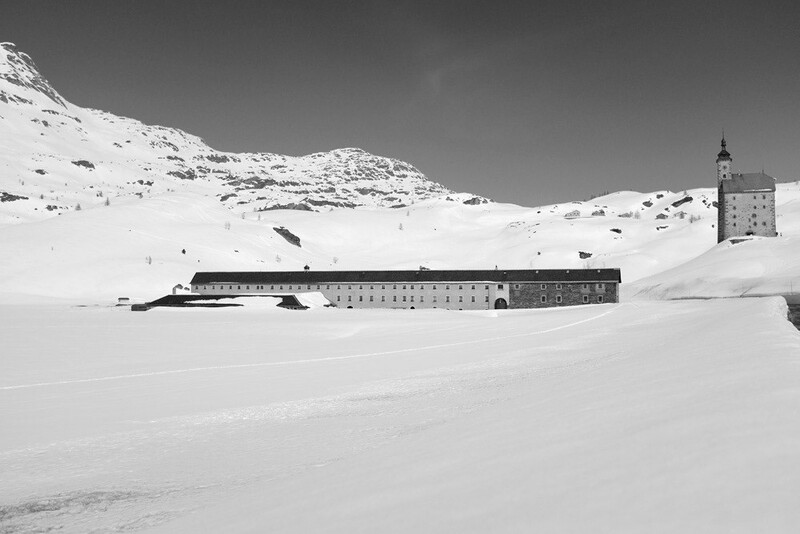 Fortuna, a 14-year old Ethiopian girl who has had no news of her parents since she arrived on the shores of Italy, is temporarily accommodated in Switzerland with other refugees in a hospice at an altitude of 2000m above sea level to over-winter. A community of Catholic canons gives them refuge whilst waiting for their legal status to be sorted out by the Swiss authorities. This is where Fortuna meets Kabir, a 26-year old Ethiopian refugee with whom she falls hope­lessly in love. Their relationship develops, hidden from sight of those around them, until the day when Kabir mysteriously disappears following a police raid. Germinal Roaux is a self-taught Franco-Swiss photographer and filmmaker. He works entirely in black and white. A reporter-photographer since 1996 for various magazines, in the year 2000 he received the Premier Prix Suisse des Médias, for a series of photographic reports dealing with autism in adults and children, which were exhibited at the Musée de l’Élysée in Lausanne. In 2003, he directed his first documenta¬ry film Des tas de choses. The film dealt with the integration of mentally handicapped people in today’s society and was selected at the Visions du Réel International Cinema Documentary FF in Nyon. Germinal Roaux wrote and directed Icebergs in 2007, which won the Prix du Meilleur Espoir at Locarno IFF and the Prix de la Relève Suissimage SSA for the best Swiss short film of the year at the Journées de Soleure. The same year, Germinal Roaux started an experimental photographic journal that focused on the transition from adolescence to adult life, called Never Young Again, that he published monthly on the Internet. Over the years, this photographic work has expanded and now comprises thousands of pic¬tures that are part of the Swiss National Library’s archives. In 2012, Germinal Roaux wrote and direct¬ed his first full-length feature for the cinema Left Foot Right Foot starring Argentinian actor Nahuel Perez Biscayart. The film received the Bayard d’Or for the Best First Feature Film at the FIFF in Namur in 2013, the Prix du Jury at the Palm Springs IFF, and the Prix du Cinéma Suisse 2014 in three categories: Best Photography, Best Acting in a Second Role and Academy’s Special Prize. In 2016, he wrote and directed his second full-length feature, Fortuna, which deals with the subject of unaccompanied minor refugees and stars a young Ethiopian actress, Kidist Siyum Beza alongside Swiss actor, Bruno Ganz. In 2016 in Zurich (Switzerland), American actress Uma Thur¬man and the Jury of the Zurich FF gave him the Filmmaker Award 2016 for his project For¬tuna. Des tas de choses (2003, short), Icebergs (2007, short), Left Foot Right Foot (2016), Fortuna (2018).